Being a tourist can be a very exhausting job. 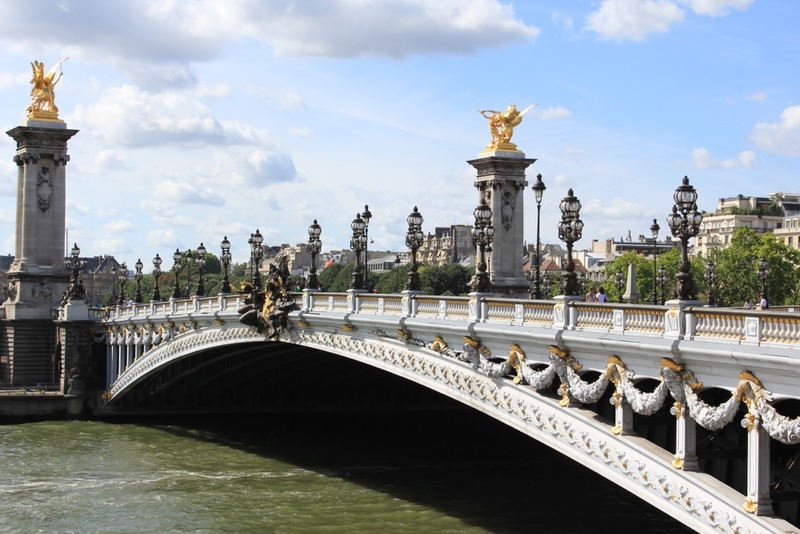 How many kilometers do you walk every day visiting Louvre, Eiffel Tower and the other hot spots of Paris? Much too much. Feet are hurting, kids are complaining. But there is a solution: More and more people jump on a cycle rickshaw and enjoy a comfortable ride. 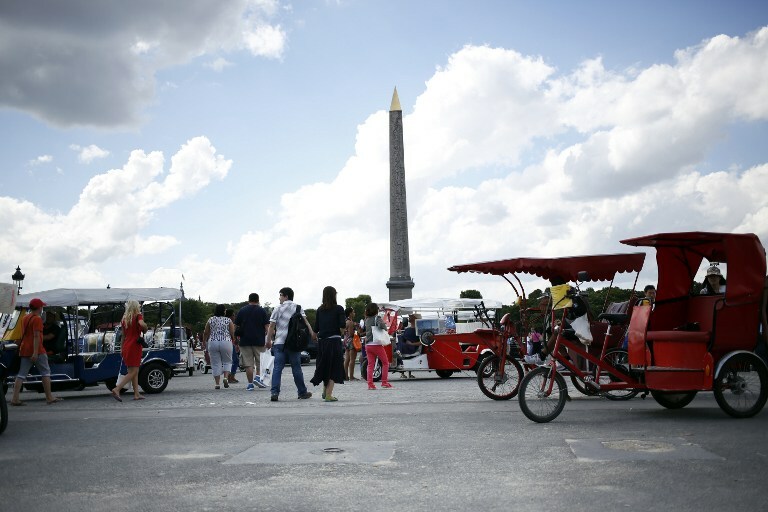 Have a look on Place de la Concorde, the gorgeous square between Champs Elysées and Tuileries Gardens: some days it looks a bit like a street in Saigon. Drivers in Pedi cabs ore even motorized auto rickshaws called by their Thai name Tuk-tuk in France are waiting for clients. A ride costs between 5 and 15 Euros and can be really fun. It’s not like in the huge double-decker busses where you are too far a way from every thing happening in the street. No, in the rickshaw you are in the middle of life. 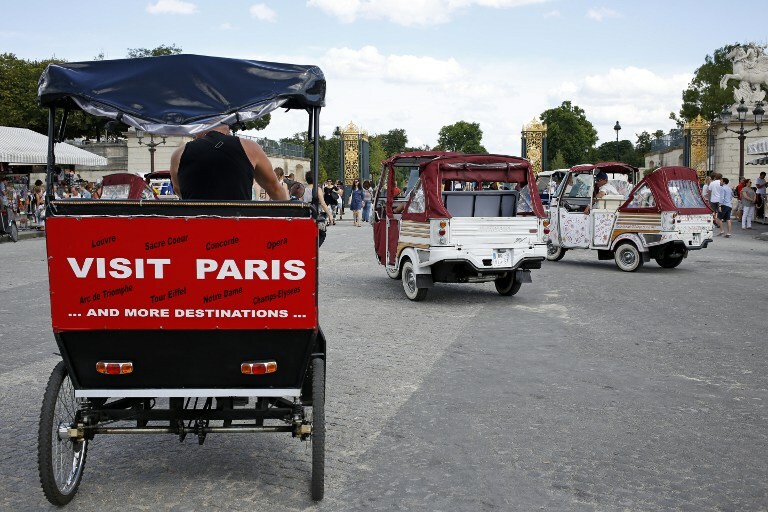 It’s only since two years, that you san that kind of vehicles for tourists in Paris. But what started with a few rickshaws became a business and the Paris police agents are not amused anymore. The trade is poorly regulated. And police don’t want the rickshaw taking their clients in the middle of the road why drivers are regularly subject to checks by French police. But don’t you worry. There is no law yet, but they do it the French way. Enjoy your drive!